The Interview: In this episode of the LDS Perspectives Podcast, Stephen Smoot interviews Grant Hardy, editor of the newly released Maxwell Institute Study Edition of the Book of Mormon. They discuss the history of publishing the Book of Mormon, and in particular the key features and motivations behind Grant’s earlier Reader’s Edition. While the Study Edition shares many of the features that made that earlier edition so useful—including paragraphs, quotations marks, poetic stanzas, and section headings—it also includes changes that reflect Book of Mormon research over the last fifteen years. The paragraphing, poetic formatting, and section headings have all been revised. Bolded text in the lengthy quotations from Isaiah and Matthew indicate where there are differences between the Book of Mormon and the King James Version, making it easier to see how the Nephite record can function as a commentary on the Bible. The original chapters are more clearly marked. And there are many more footnotes pointing out literary features, narrative connections, and helpful observations about events and people. Grant shares some of his favorite new insights that have been incorporated into the volume, along with why he believes Emma Smith’s testimony deserves equal billing with those of the Three and Eight Witnesses. The Study Edition has several hundred footnotes drawn from Royal Skousen’s Critical Text Project identifying superior readings from the original and printer’s manuscripts that were lost in the process of copying, typesetting, and printing various editions of the Book of Mormon. There are also numerous footnotes suggesting alternative punctuation that clarify the meaning of particular verses. And, of course, at the end of the volume are helpful maps, charts, indexes, brief essays, and excerpts from primary sources about Joseph Smith and the translation. Together, the general formatting of the Study Edition makes the Book of Mormon easier to read, while the footnotes help focus attention on exact words and historical details. It is significant as well that while the Reader’s Edition used the 1920 edition of the Book of Mormon for its base text, the Maxwell Institute received permission from the Church to reproduce the official 2013 version of the text in the Study Edition, so the words are exactly the same. This means that not only can this new edition be used as a study aid for college students, teachers, missionaries, and in personal study but also it can be read as canonized scripture. The conversation concludes with comments about the striking full-page woodcuts that were commissioned especially for this volume from the noted LDS artist Brian Kershisnik, and how this Study Edition can help teach members of the Church how to better read and understand the Book of Mormon. 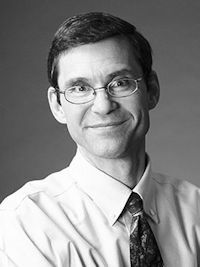 About Our Guest: Grant Hardy is Professor of History and Religious Studies at the University of North Carolina at Asheville. He has a B.A. in Ancient Greek from Brigham Young University and a Ph.D. in Chinese Language and Literature from Yale. He has authored books on diverse topics from Chinese history to Mormon scripture. He is the author/editor of two previous books on the Book of Mormon. Grant and his wife Heather have two children. Transcript: For a transcript of this podcast (once its available from LDS Perspectives), go to http://www.ldsperspectives.com/2019/01/16/studying-the-book-of-mormon-with-grant-hardy/. This podcast is cross-posted with permission of LDS Perspectives Podcast.